How to Cite This Chapter: Singh Ospina N, Brito JP, Kokot F, Franek E, Płaczkiewicz-Jankowska E. Primary Hypoparathyroidism. McMaster Textbook of Internal Medicine. Kraków: Medycyna Praktyczna. https://empendium.com/mcmtextbook/chapter/B31.II.10.1.1 Accessed April 23, 2019. 1) Inadvertent surgical removal of all parathyroid glands during thyroidectomy (this is responsible for ~80% of all cases of hypoparathyroidism) or other surgical procedures in the neck. 2) Destruction of parathyroid glands in the course of thyroiditis; radiotherapy of the thyroid gland; deposition of iron (hemochromatosis), copper (Wilson disease), or amyloid (amyloidosis); neck trauma; autoimmune process (autoimmune polyendocrine syndrome type 1 or, very rarely, type 2 [see Autoimmune Polyglandular Syndromes]). 3) Congenital malformations: Parathyroid aplasia (DiGeorge syndrome), congenital hypoparathyroidism with X-linked or autosomal inheritance. 4) Mitochondrial diseases: Kearns-Sayre syndrome, MELAS syndrome (mitochondrial encephalopathy, lactic acidosis, and stroke-like episodes). 5) Secretion of structurally abnormal PTH with impaired receptor binding. 6) Impaired PTH secretion caused by hypomagnesemia, respiratory alkalosis, or activating mutation of the calcium-sensing receptor gene. The clinical features of hypocalcemia are variable and usually related to the acuity of its onset and its severity; chronic hypocalcemia might be asymptomatic in comparison with acute changes in serum calcium levels. 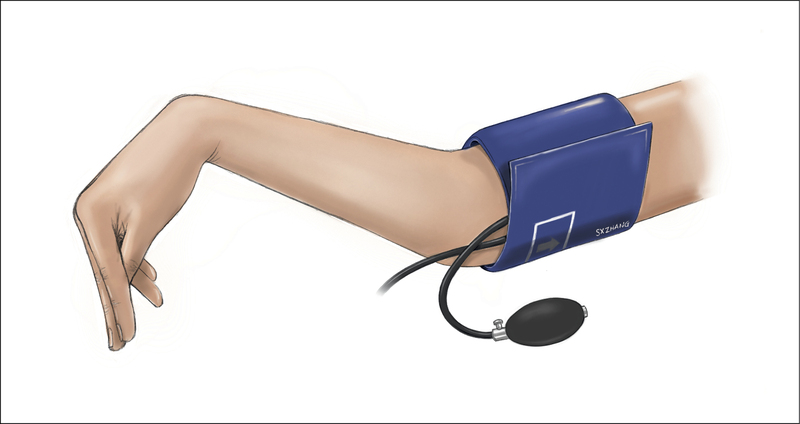 Signs and symptoms of hypocalcemia include tetany, latent tetany, or tetany equivalents (see Hypocalcemia). Chronic hypocalcemia may cause neurologic disorders (chorea, parkinsonism, spastic paraparesis), mental disorders (depression, neurosis, psychosis), and trophic lesions of ectodermal tissues (lamellar cataract, dry and coarse skin prone to eczema and fungal infections, fragile hair including eyebrows, transverse nail grooves, vitiligo or nail delamination, ring-like or spot-like enamel defects). Chronic hypoparathyroidism may be asymptomatic for a long time. On the other hand, acute hypocalcemia can result in symptoms secondary to the increase in neuromuscular excitability (muscle spasms, tingling), seizures, or cardiac arrhythmias that might require prompt intervention. 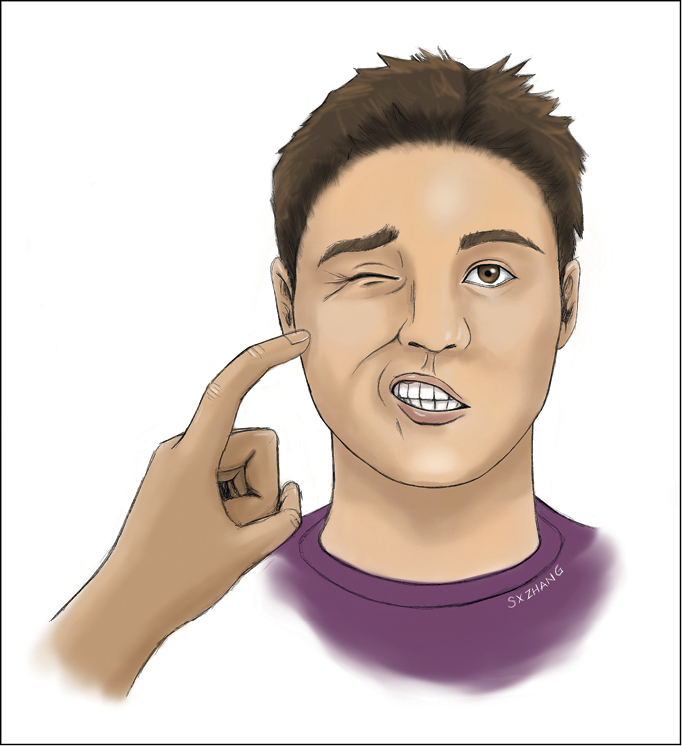 On physical examination, the Chvostek sign (Figure 1) and Trousseau sign (Figure 2) can be helpful, although they are not sensitive or specific enough for the diagnosis. 1. Blood tests: Hypocalcemia, hyperphosphatemia, low or undetectable serum PTH levels, low 1,25-dihydroxycholecalciferol (1,25(OH)2D3) levels. 2. Urine tests: An increase in urinary phosphate and cyclic adenosine monophosphate excretion after the administration of exogenous PTH (Ellsworth-Howard test). 3. Electrocardiography (ECG): Features of hypocalcemia (see Standard Electrocardiogram). 4. Imaging studies may reveal calcifications in the basal ganglia and in soft tissues as well as increased bone mineral density (osteosclerosis). 5. Nerve conduction tests and electromyography (EMG): Decreased nerve excitability and chronaxie, spontaneous high-frequency biphasic action potentials in skeletal muscles. Diagnosis is based on the results of biochemical tests (hypocalcemia with low or undetectable PTH levels and hyperphosphatemia) and may be accompanied by symptomatic tetany or tetany equivalents and trophic lesions of ectodermal tissues, depending on the severity and acuity of presentation. Other causes of hypocalcemia, pseudohypoparathyroidism. Because treatment of the underlying condition is usually not possible, management is based on controlling hypocalcemia and hyperphosphatemia. Figure 1. Chvostek sign. Illustration courtesy of Dr Shannon Zhang, Department of General Surgery, Queen’s University, Kingston, Canada. Figure 2. Trousseau sign. Illustration courtesy of Dr Shannon Zhang, Department of General Surgery, Queen’s University, Kingston, Canada.